Dorco Electronics has been on the cutting edge of custom machining and fabrication since 1958. We are an ISO certified custom machine shop, with full CNC and CAD capabilities. We also can help you design your product and create prototype samples. We specialize in tubing, bobbins and spools, cases, cups and boxes, and CNC machining. 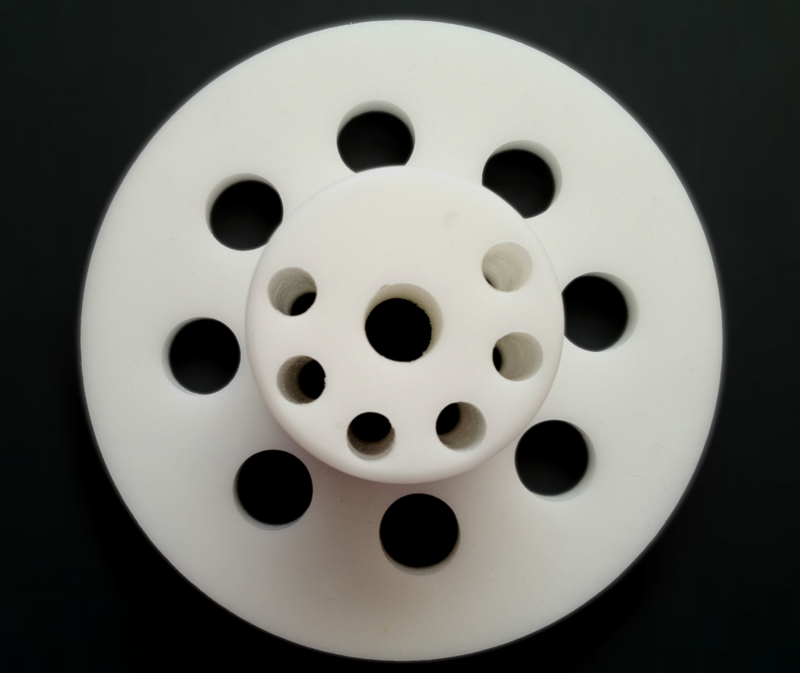 We also have experience custom machining parts for needs outside our ordinary scope. 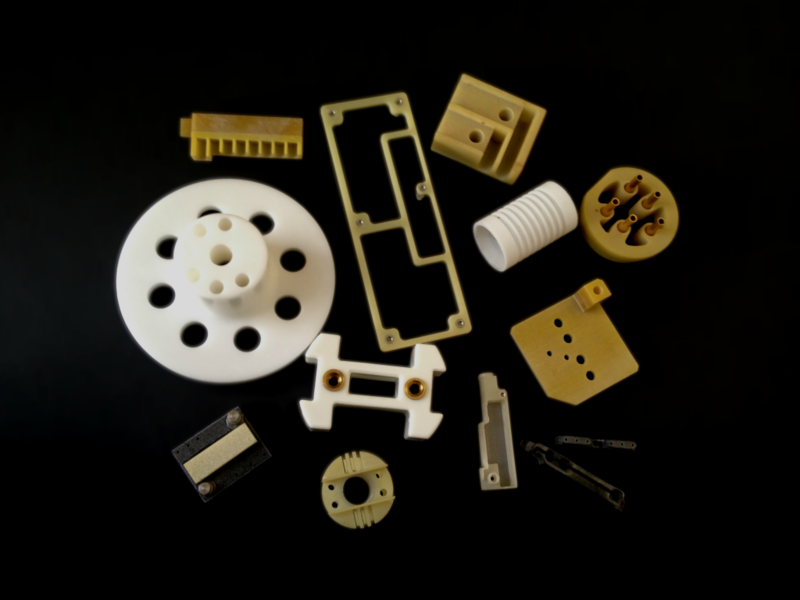 We can help you design or rebuild a prototype, or we can take a sample from you and help refine it for lower cost production. 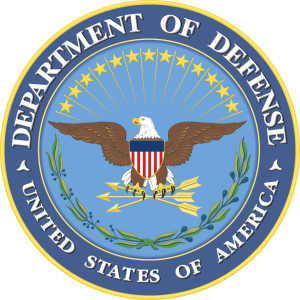 We have extensive experience working with the aerospace industry and government contracts. Quality is our most important consideration in making your part. We carefully inspect each part before shipping to our customers. We can make tubes in virtually any thickness down to 0.012″ and any shape, size (up to 36 inches), color, and with or without fire retardant. We can sandblast the interior for maximum adhesion. Exteriors can be rough sanded, smooth semigloss or centerless ground to tolerances of +/- 0.001″. These parts are ideally suited for transformer windings, shrouds, solenoids, coils, bushings, insulators, or corrosive liquid tubing. We can turn your tube into a bobbin or spool, or we can add CNC details so your tube can be customized for your specific need. Bobbins and spools are tubes that are made with an edge or lip. 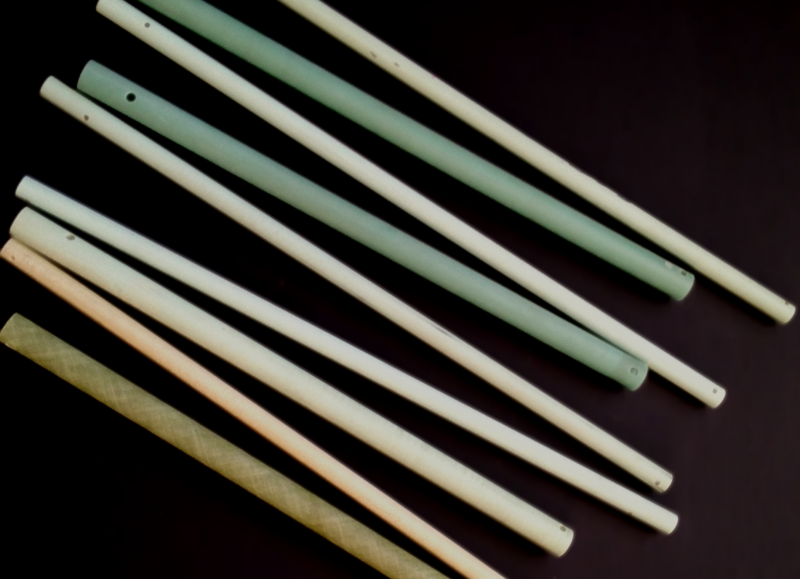 Our bobbins are precision manufactured from laminated fiberglass and can be custom made into any shape or size. Bobbins and spools are ideal to wrap products such as cables, tape, cords, or wires around. We can also develop and add custom secondary functions such as holes, slots, or terminals to the bobbin or spool. 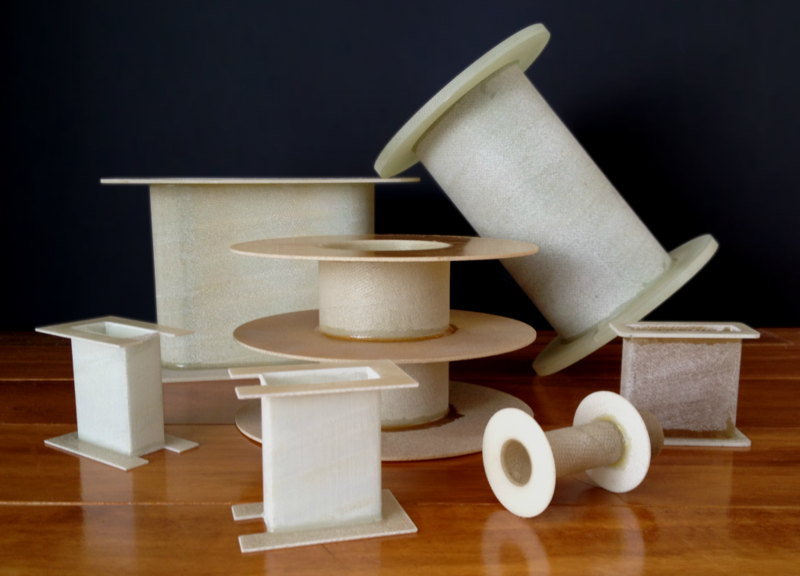 Fiberglass is an ideal material for making bobbins and spools because it is lightweight, corrosion-proof, and durable, yet not electroconductive, so wires that conduct electricity can be safely wound around and then passed through an opening in the part. 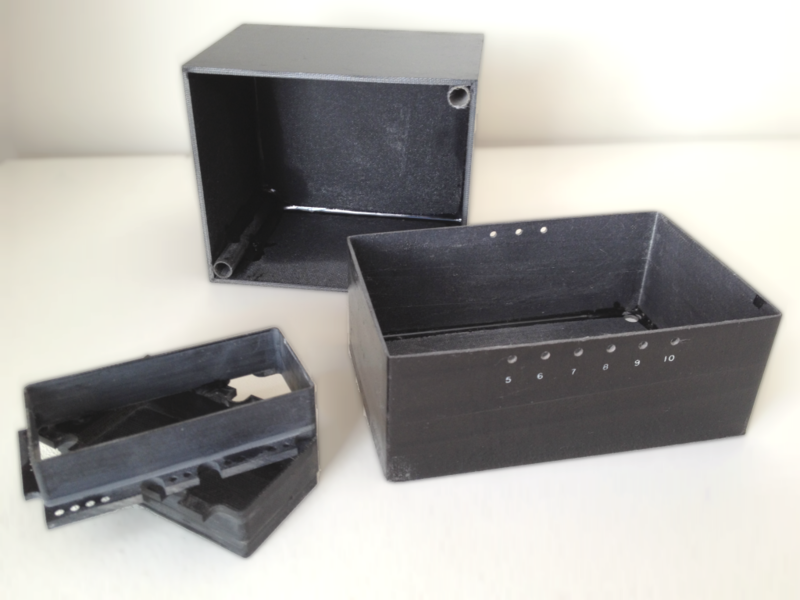 Our cases, cups, and boxes are available with holes, terminals, slots, center posts, and inserts. They can be shielded with copper or impregnated with flame retardant resins. Interiors are abrasive blasted for maximum adhesion. Dorco has a large inventory of modular and pre-built tooling components to make any custom cup or case you need a reality. With CNC capabilities and expertise in fiberglass fabrication, we can make just about any part to meet your needs. Rapid fabrication of custom CNC parts is made possible by our large inventory of modular and prebuilt tooling components and our staff of skilled, experienced specialists. 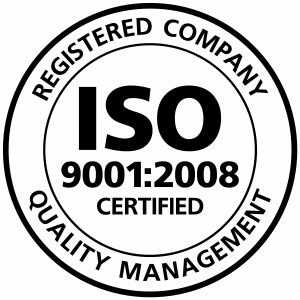 Our quality control process is ISO 9001:2008 certified. A quality product is our number one goal. Each part is personally inspected before it is sent to our customers. Dorco meets all applicable MIL and NASA specs. Our quality control, per MIL-I-45208, includes 100% inspection from incoming raw materials to finished articles. All fiberglass and sheet stock is certified to MIL-I-24768.